Our new managed WordPress packages are a game-changer! We take care of the technical part of running your site so you can focus on delivering great content. Since 2002 we’ve focused on our mission to provide affordable, reliable hosting and services with stellar support by our knowledgeable and friendly staff. When you purchase your hosting yearly your domain registration and renewal is included, every year, as long as you continue to host with us. Our support will go above and beyond to help you not only with technical issues you may face, but with a wide range of related needs. Why should you pay more when you choose to stay with a hosting company? Our hosting gives you more bonuses and discounts the longer you stay. We have a variety of hosting options available based on your specific needs. If you need help picking out the right service drop us a line and we’ll be happy to help! With the #1 Control Panel for Hosting, you can be sure your site will have all the options you need backed by our great support staff. 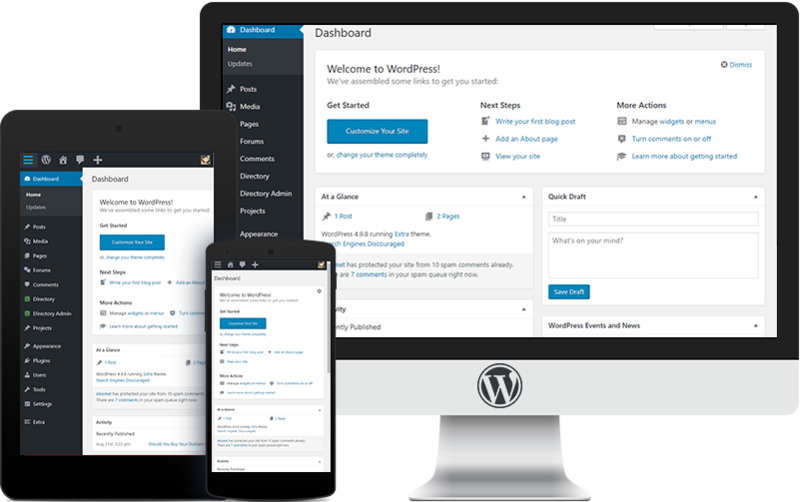 Host multiple websites from the same place or resell your space to support your hustle with WHM Reseller Control Panel. Servers optimized to run your WordPress site with speed and security, with experts on hand to help with anything you may need. Our Managed Cloud VPS let’s you grow your business without having to learn server administration. These additional services are available for anyone who needs more than just hosting. We’re happy to help you with your vision from start to finish! Security on the web is becoming increasingly important, not just for keeping your information safe, but also for page ranking and trust. Our services range from design conception to copy writing & content additions, to finishing touches. We do it all. Don’t let a flaky designer get in the way of your success. Keeping up with the management and security of WordPress is something not everyone has time for. Let us take that off your plate! "We have been with you over 15 years and you have given us the best customer service we could ever expect from a company."